There are at least three types of condenser microphones. Some of these devices can be connected to the computer directly, others will have to coordinate with the sound card input. Before connecting to the computer any microphones, please check the Pinout of the appropriate socket on the sound card, which usually has red color. This Jack is monaural, and the conclusion, which is common in usual stereo Jack, it connected with the average. There are mono plugs, which implemented a corresponding connection, and if none exists, manufacture it from the stereo by the corresponding connection. Such connectors never connect to stereo Jack for headphones or speakers, so as not to cause a short circuit. On the sound card there is a special circuit of a capacitor and a resistor. Through the resistor is applied to the microphone power supply voltage (positive relative to the common wire), and a condenser microphone is removed the variable component of the signal. Therefore, if you have 1.5-volt electret microphone, just connect it to this socket via a plug with the correct polarity (minus to ground). Before that determine the polarity of its conclusions: negative terminal connected to the hull. If the microphone is powered with a voltage of 3 V, when powered from the sound card the signal will barely distinguishable. Therefore, a decoupling circuit will have to be placed outside. Apply on the MIC, also the polarity of the voltage of 5 V (computer power supply) 5-kiliany resistor. The voltage drop on it would be so that the microphone will have just 3 V. the Signal feed to the input of the sound card through a paper capacitor with a capacitance of about 0.1 microfarad. In all cases the connection when the machine has stopped. 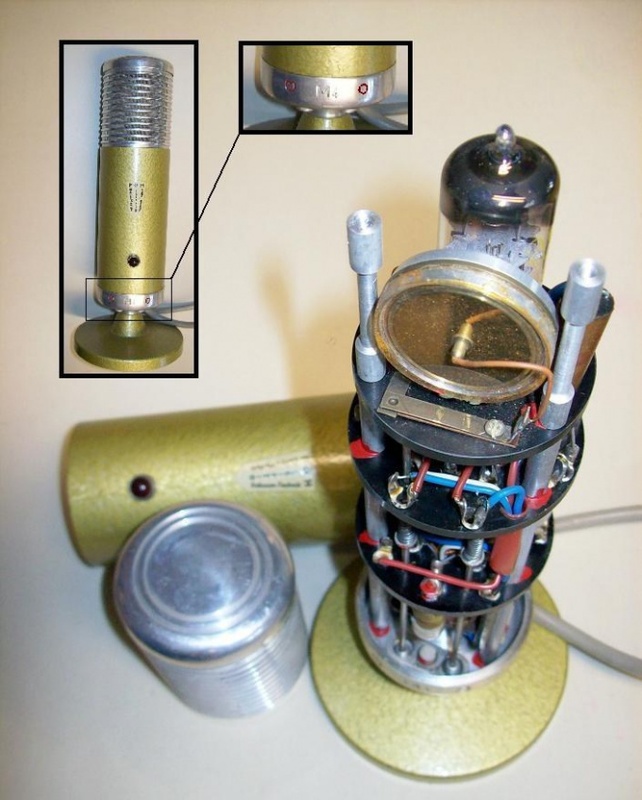 There are also condenser microphones that are not electret. Internal source of constant polarization in them, as there is no preliminary stage. To connect this microphone to the sound card directly. Use a special mixing console, designed to work with condenser microphones. And the signal from the line output of the console to post on the computer. What to do if the connections are done correctly, but there is no sound? The reason for this can be software. Both in Linux and in Windows there is a special program virtual mixing console. It has virtual volume control of the microphone and its switch. Check their position and if necessary adjust.